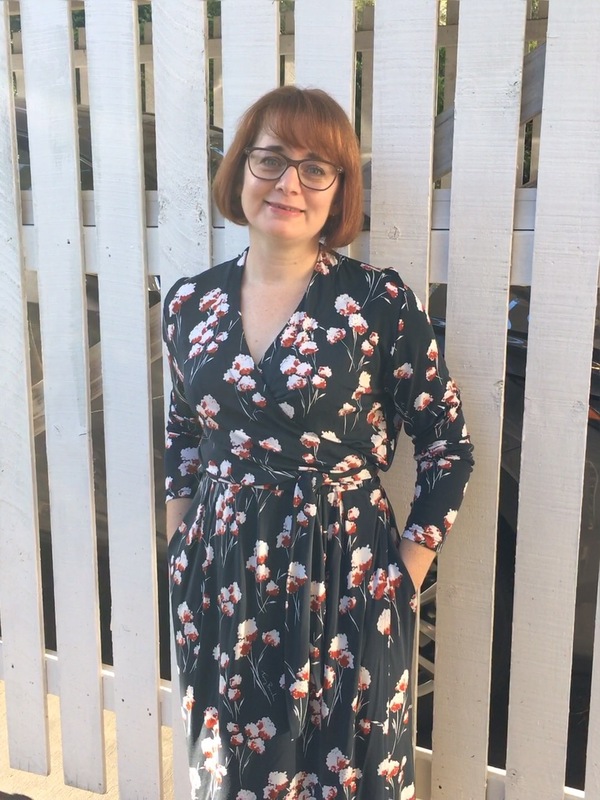 This is my second Olivia wrap dress – my first I made last year with a poly blend knit from Clear It Fabrics in Melbourne and it is very well loved; one of favourite makes of last year. Lots of compliments when I wear it, easy to wear, work appropriate but still not dull old corporate work. A second version was definitely going to happen! The dress is a classic knit wrap dress with a slight tulip skirt. The high neck wrap, the below the knee skirt length and long sleeves met all the requirements of corporate work world attire. With some side seam pockets for the public transport pass, mobile phone, lip gloss and business cards the dress is perfect for networking events without the hassle of juggling a hand bag, a drink, nibbles and hand shake with two hands. Oh the joy of awkward small talk with strangers…anyway back to the matter at hand. The only thing I dislike about the fabric is the lack of recovery – there is no elastane in the knit at all. I find that after a day of wear the dress ‘grows’ in length even with the elastic waistline as support. Care is also required when washing/storing as hangers make marks on the shoulder. Overall the dress is a success – fun and easy to wear…its a win. I am finding the #makenine a great way to stay motivated and on track with my sewing project. I tend to ‘squirrel’ on sewing projects bouncing between new shiny things with no real goals was usually results in additions to the fabric stash without any real focus. I am really enjoying the focus on limited my projects to the nine (with a few additions through out the year). How is the progress on your #makenine? Yep, I like yours better than what they did with it! 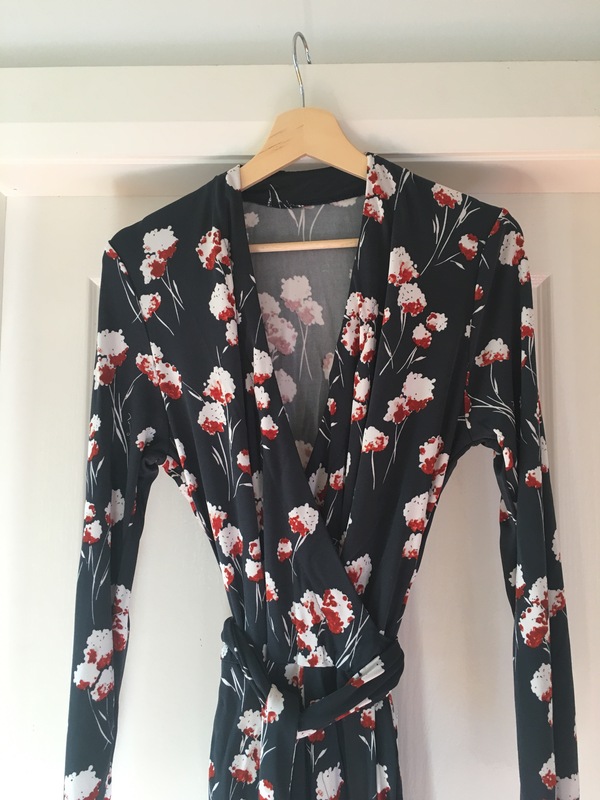 This pattern is great in that fabric and it looks great with your colouring ;o) Glad somebody is making progress with their sewing plans, well done.